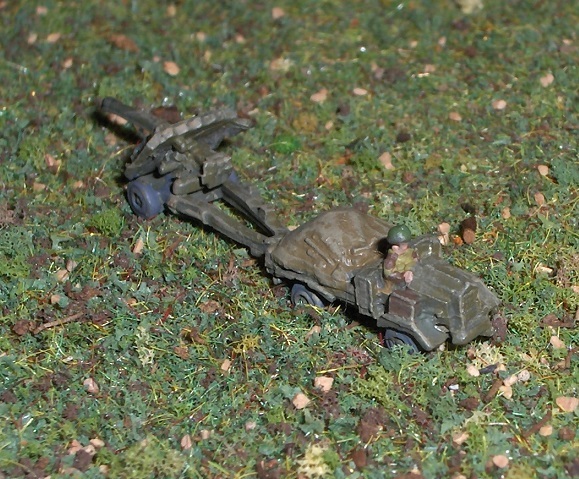 Comes in three versions from H&R -- deployed for ground action, deployed for AA duty, and towed. 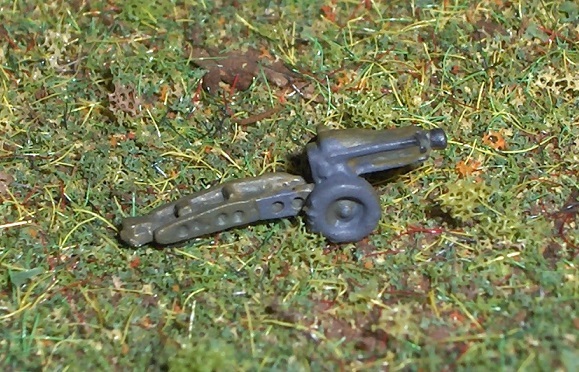 H&R has two versions -- each with a gunner in place. 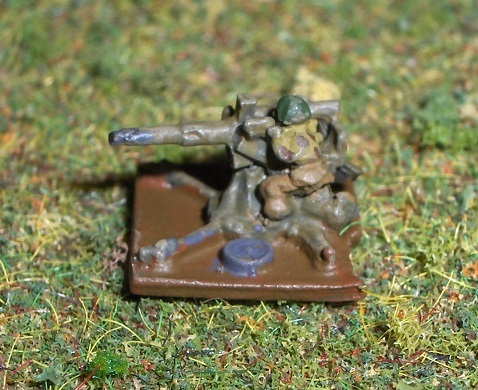 One gunner has a helmet and another has a beret. 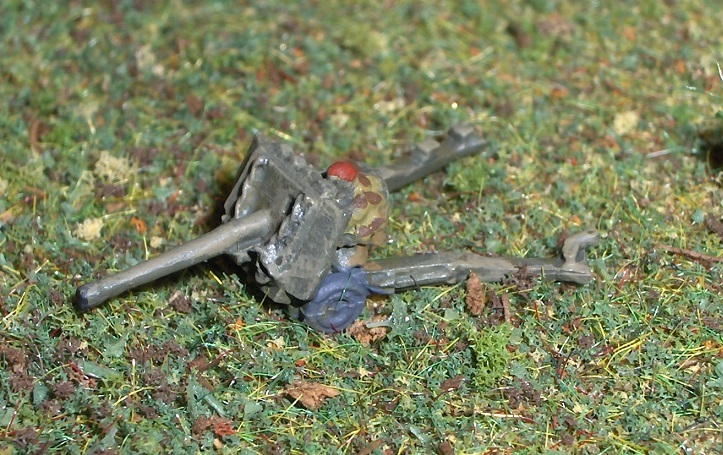 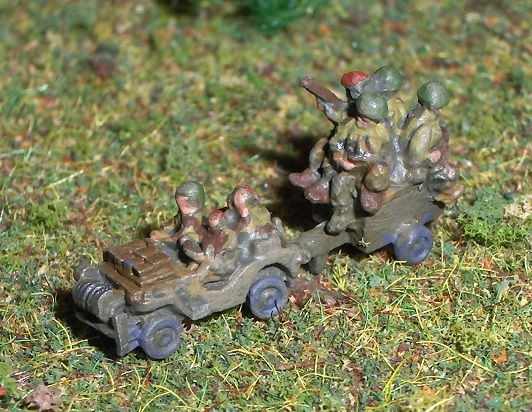 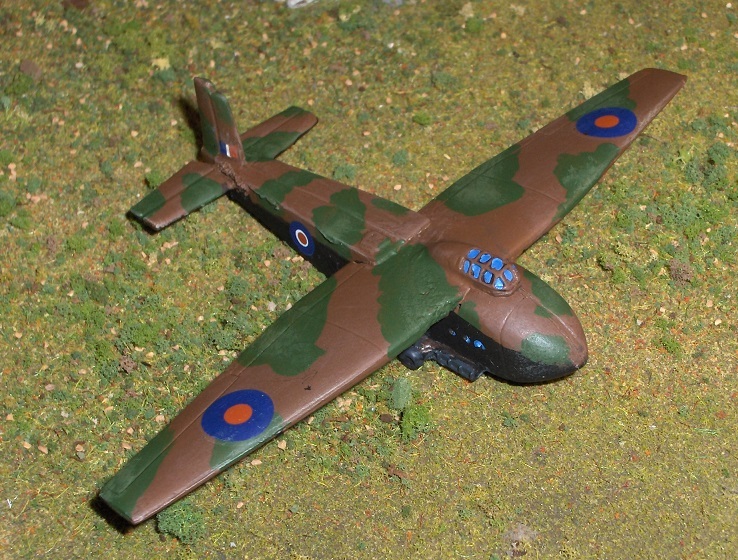 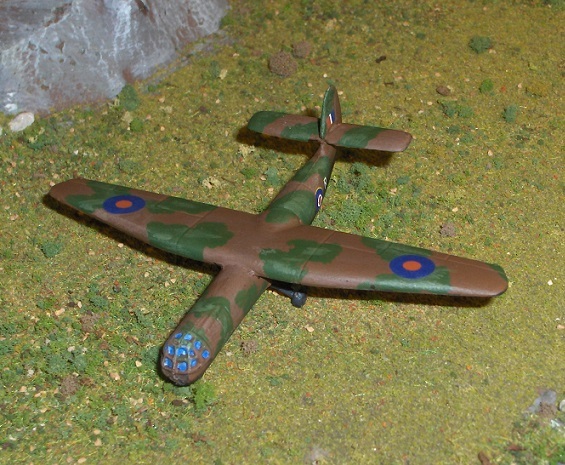 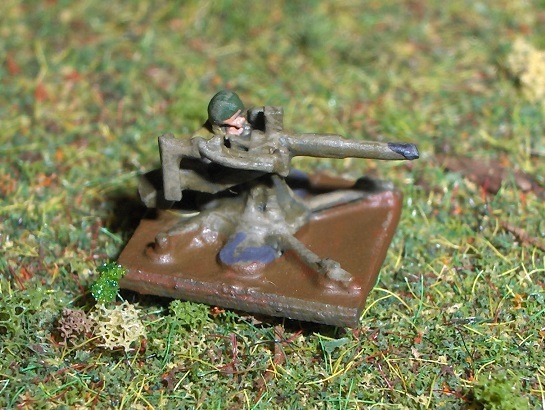 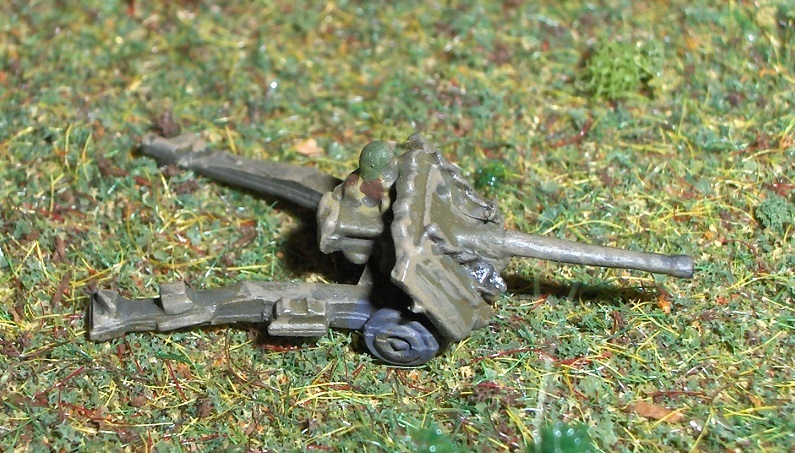 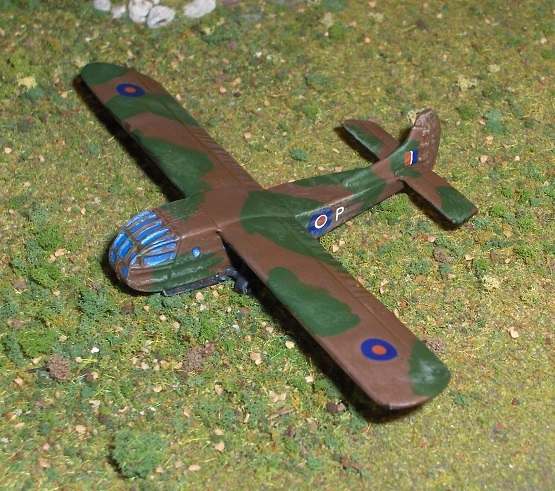 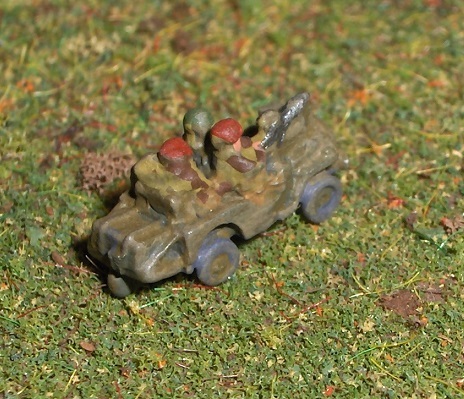 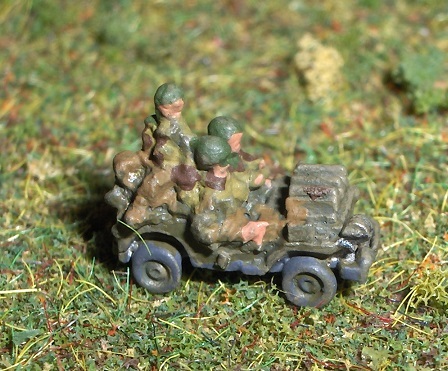 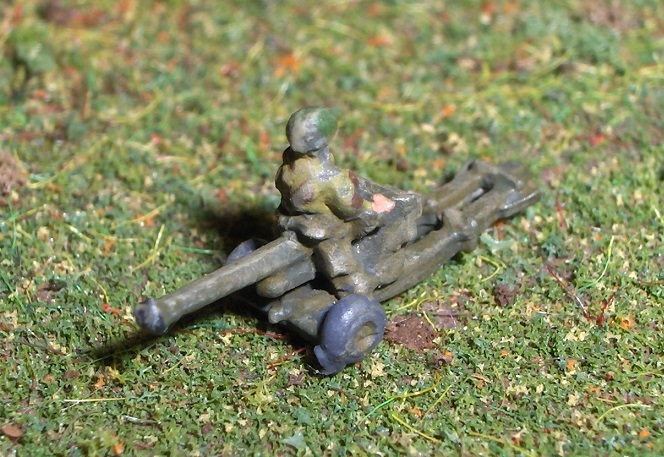 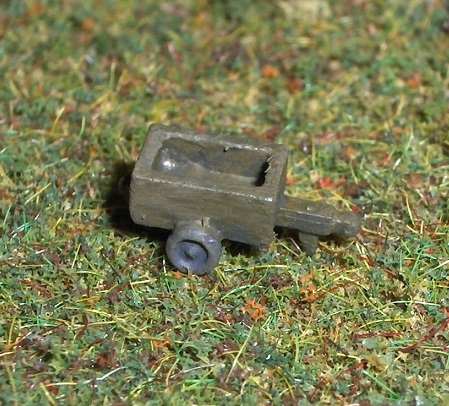 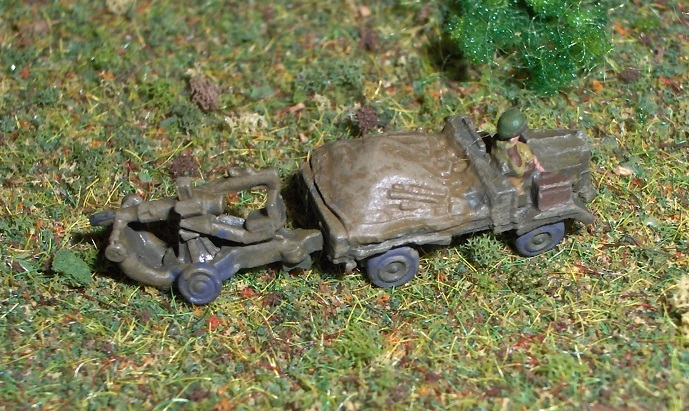 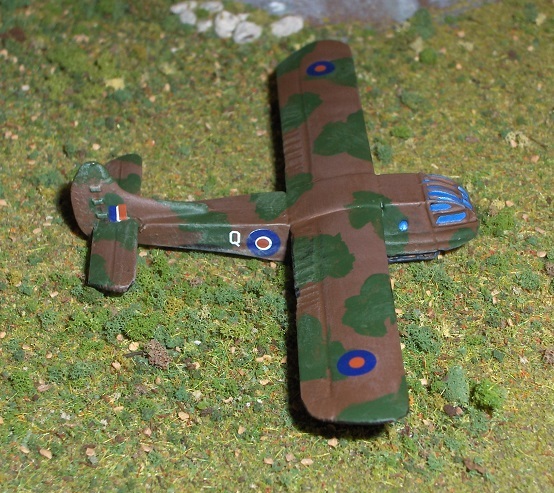 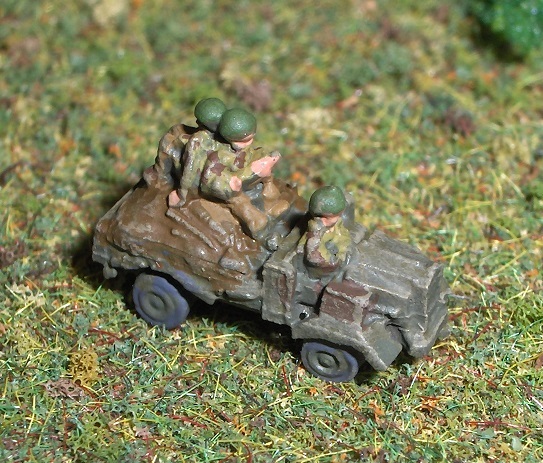 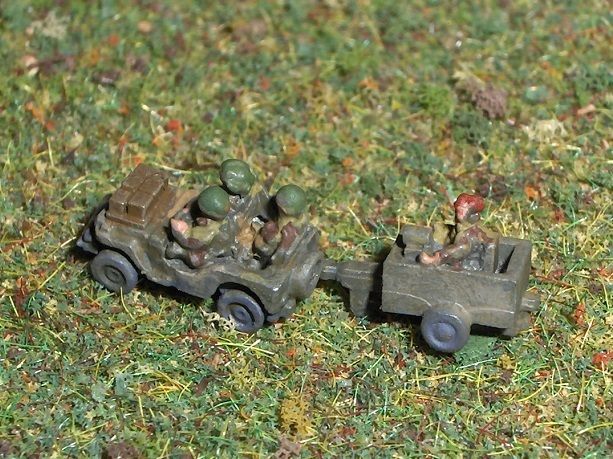 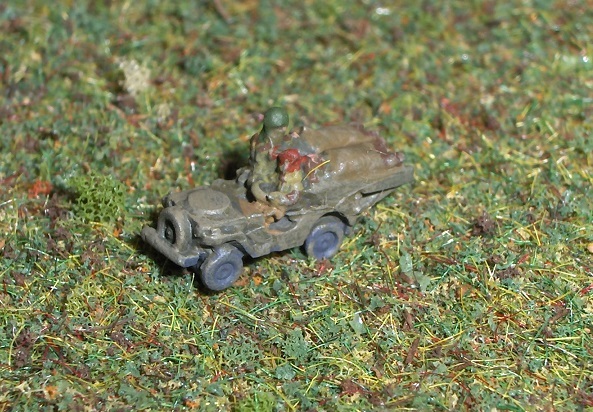 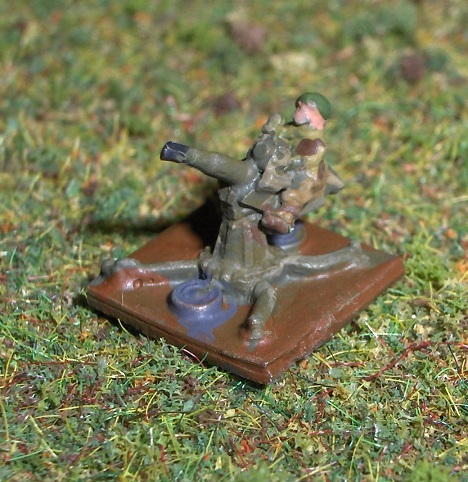 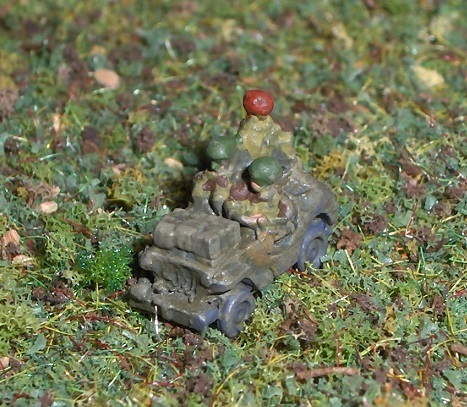 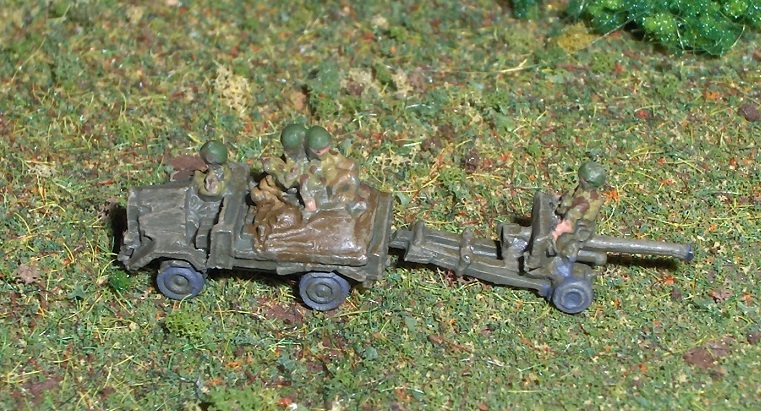 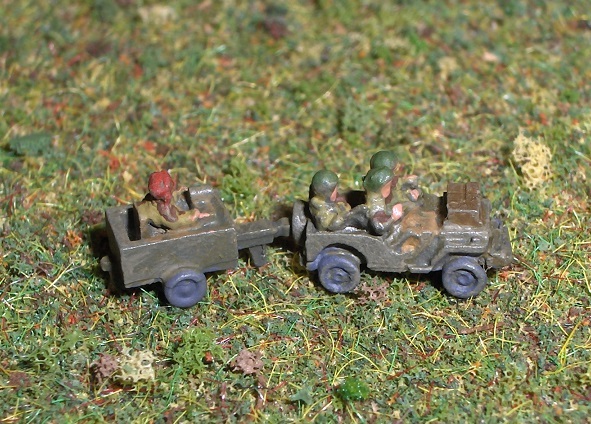 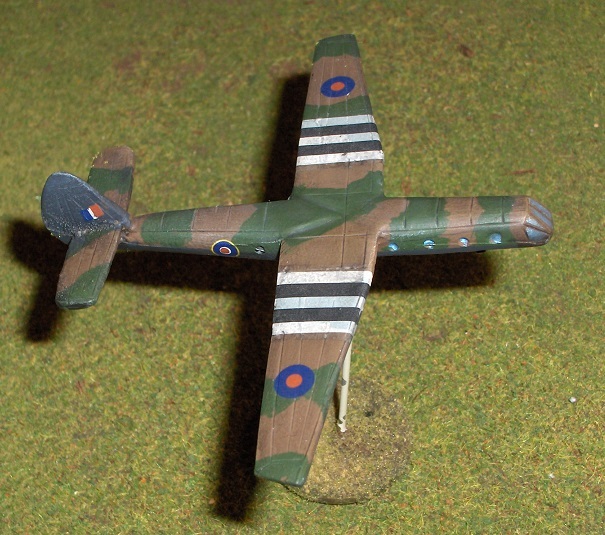 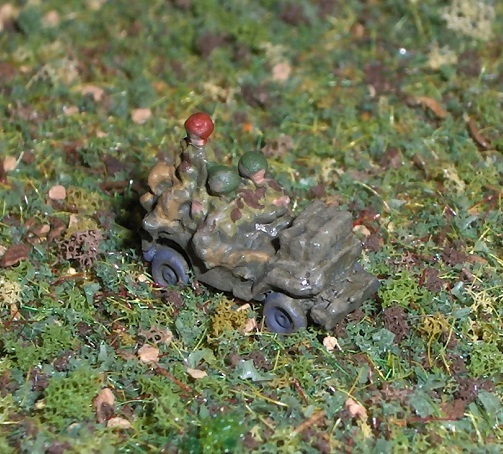 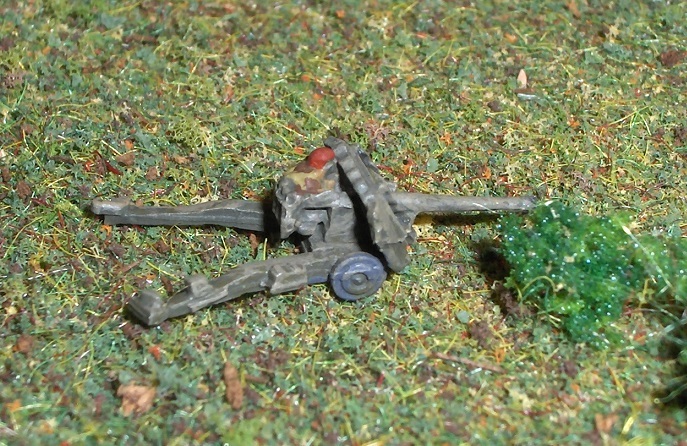 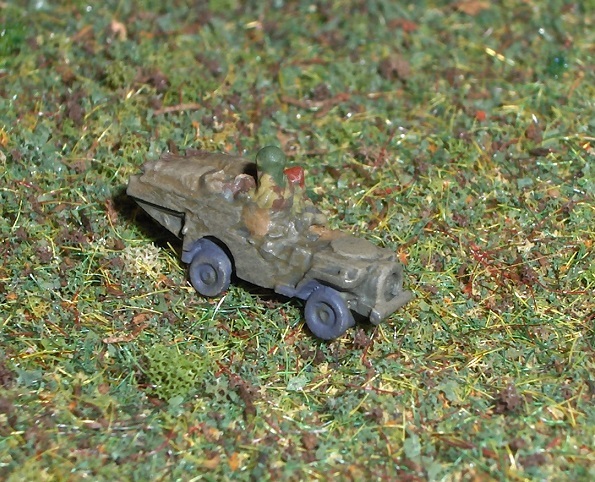 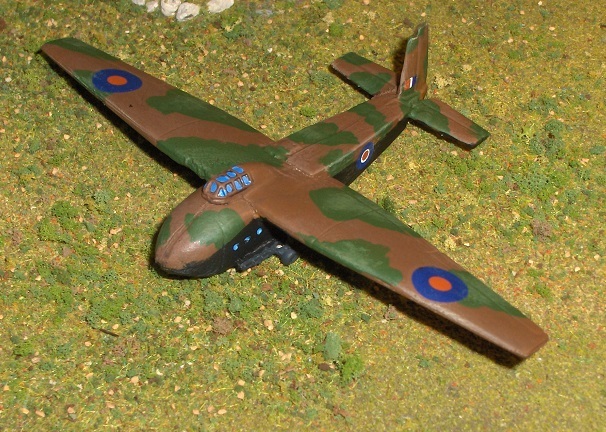 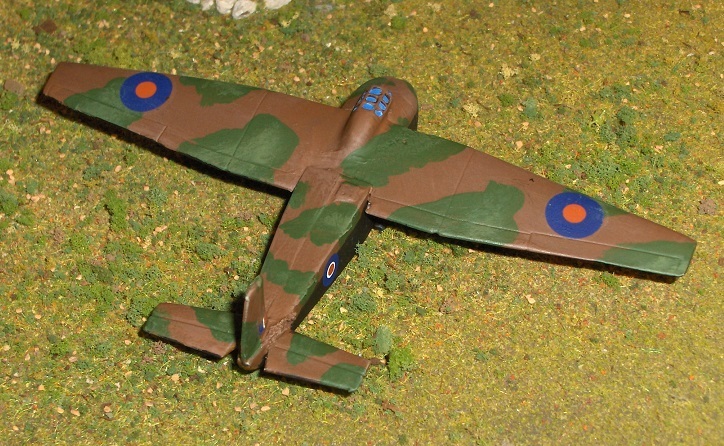 They are excellent models, and the inclusion of the gunner makes them doubly valuable. 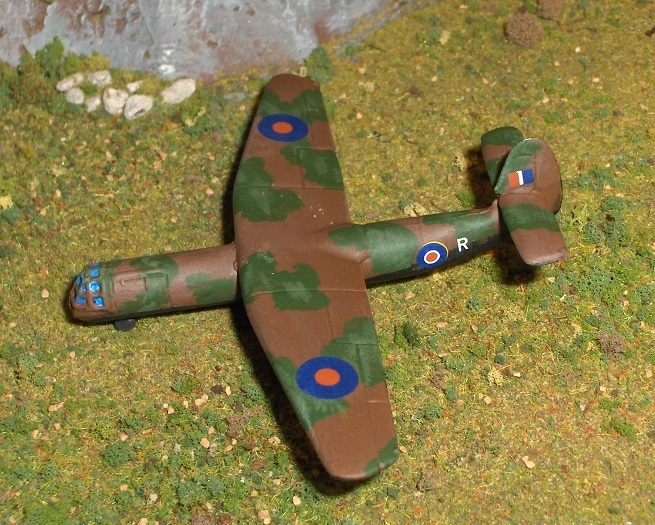 All models are from H&R, there are a wide variety but I'm not confident in identifying individual models. 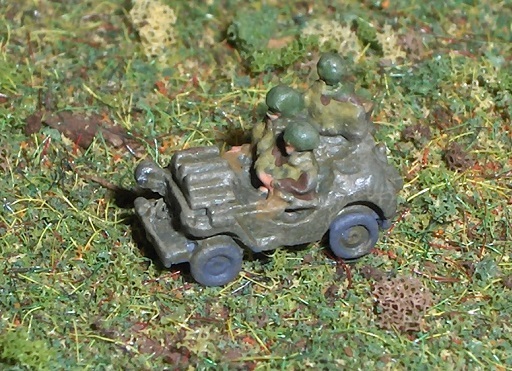 The detail is excellent, but my painting skill is not necessarily up to the task. 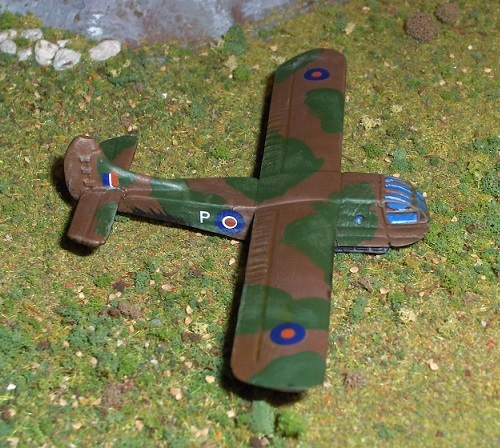 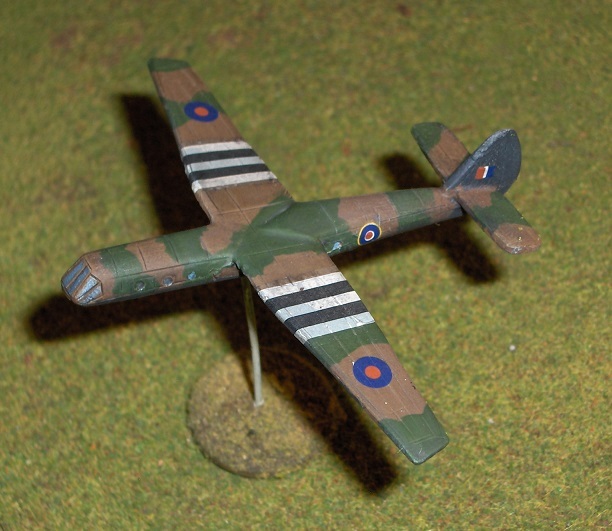 H&R model, on which I did a decidedly sub-par paint job. 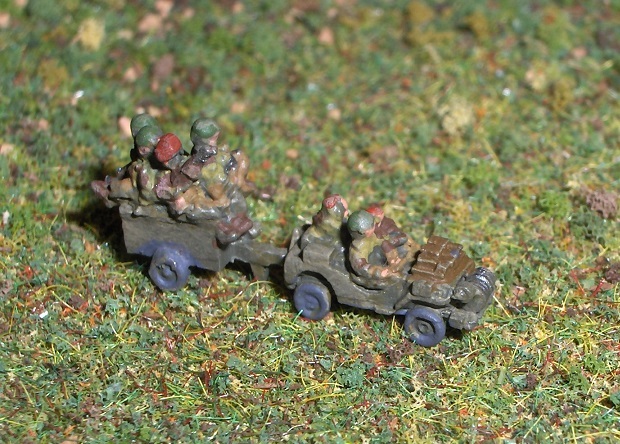 ISM model, not as good as the newer GHQ model but fairly acceptable. 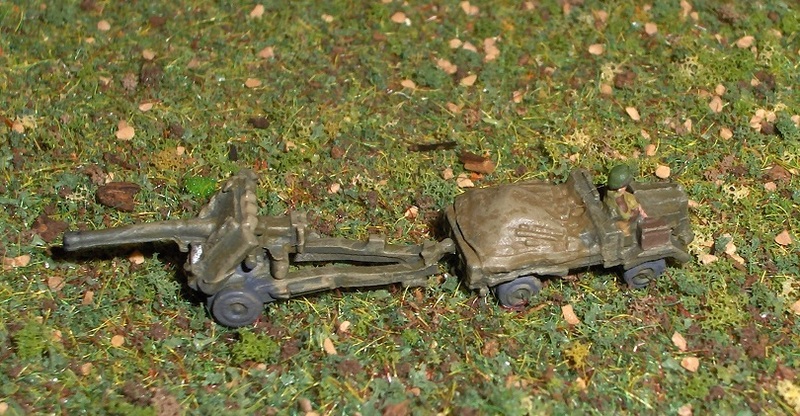 This one is missing one of the front wheels.